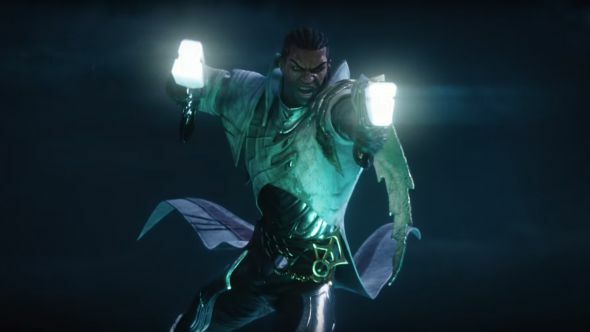 Riot Games have released a new League of Legends cinematic to celebrate the start of the new ranked season, which begins tomorrow. The new video, titled The Climb, shows several champions attempting to make their way through hordes of enemies. Beginning with Yasuo, The Climb then switches focus to Taliyah, showing off a fantastic Weaver’s Wall. From Shurima, the action heads to the mean streets of Zaun, with Ekko getting a literal helping hand from Blitzcrank. Miss Fortune and Illaoi are the next champions to appear, before an epic showdown between Thresh and Lucian. It’s maybe the best cinematic Riot have ever produced, so you should check it out above. League of Legends cinematics are quite rare, but Riot have picked up their pace in recent years with videos for Varus, the League Animation Workshop, and Xayah and Rakan in the past year. Many videos, however, focus on a particular champion or skin-line, and the last time Riot produced a fully rendered video featuring multiple different champions was 2014’s A New Dawn. The Climb features several more recently-released champions – Miss Fortune and Blitzcrank are among the ‘older’ characters, but Taliyah in particular is a pretty recent addition. Admittedly, she might have come out over 18 months ago, but fewer than ten champions have joined the League since her release. Ekko and Illaoi aren’t particularly far behind, having both come out in 2015.